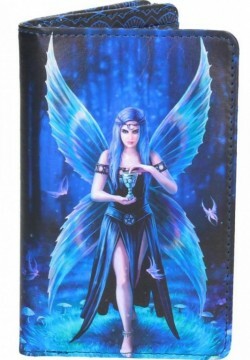 Good quality leatherette purse featuring gothic fantasy Artwork by Anne Stokes. Plenty of card slots. Zipped coin purse with two sections (useful if travelling and want to separate coins). Large main section for receipts and notes. Photo window. Excellent quality image on the front and back of the purse.